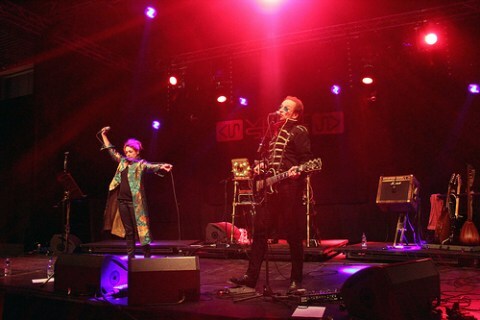 Even though Victor Sierra were the actual headliners of the day, most people had clearly come to see Abney Park, leaving the French steampunk band to sadly perform for a near empty venue. Regardless of this regrettable fact, the band gave its all, performed admirably and so the lucky few who did stick around were treated to the best steampunk music France has to offer that I’ve heard so far! I didn’t know the music of Victor Sierra as well as I would have liked before the concert, but they did a fine job of convincing me to look into them, playing a variety of songs that showed their range as a band. A nice touch is that, although they are French, they sing in several different languages. Of course, the most important fact is that they are amazing performers, who will, regardless of the circumstance, give the absolutely very best show they are capable of that will easily bring down the proverbial house. Click here for more photos of Victor Sierra live.